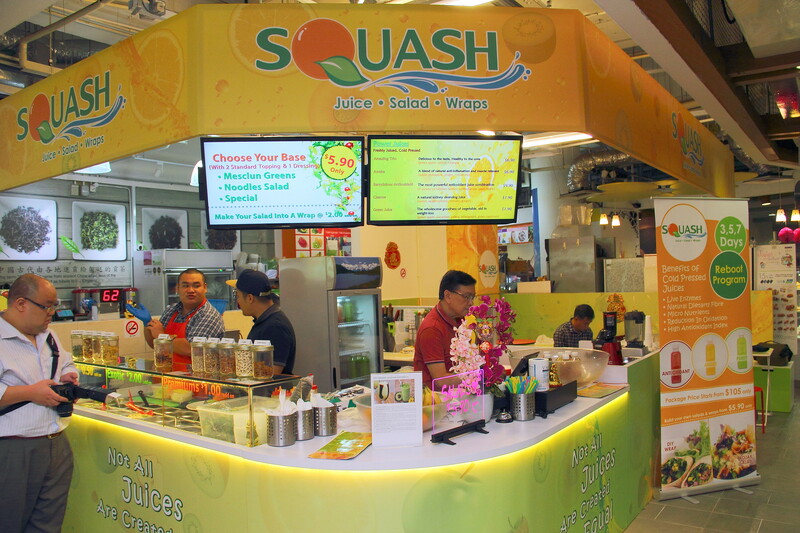 Located at the basement of The Central Clarke Quay is Squash, a new juice and salad bar founded by Mr Allan Foo. Holding a Curtin university degree in finance and marketing, Mr Allan Foo used to work in the banking industry and in real estate investment. The late nights and busy schedule has taken a toll of his health. Through the benefits of juices and micro-nutrients, he managed to restore his own health. Hence he decided to leave the corporate world and opened Squash, inspired to help others to get back in health with his delicious and nutritious food and drink offering. 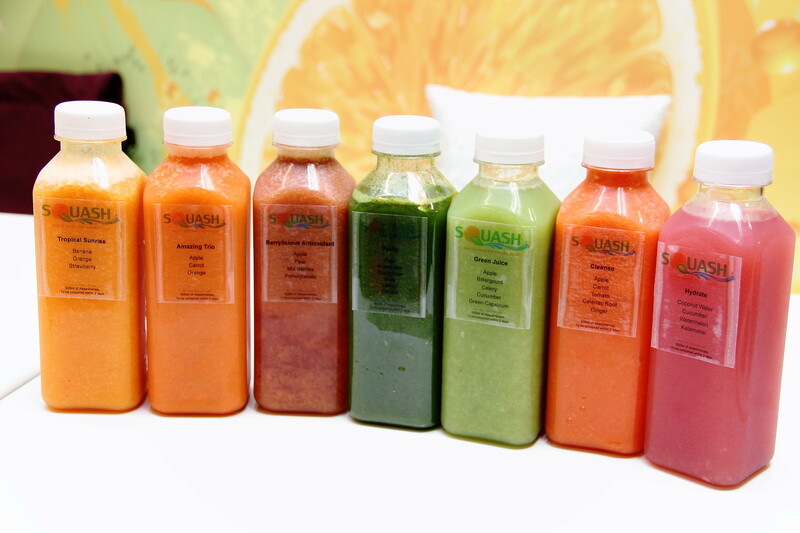 The main products at Squash is their Cold Pressed Juices that ranges from $6.90 to $9.90. Cold pressed juice is sort of a drinking trend lately even though the price is much higher compared to normal fruit juice extracted from juicers. It is understand that the cold pressed method retains more nutrients of the fruit or vegetables. It is also understand that the owner will be introducing a cold pressed juice cleansing programme in the very near future. If you are not a person that is too adventurous in taste, my advice is to avoid the vegetable cold pressed juices. Squash is not just a juices bar. Adjacent to it is a salad bar where one can mix and match their own salad preference or combination. The salad starts from $5.90 with a base (mesclun greens, noodles salad etc) and choice of 2 standard toppings and 1 dressings. Additional cost applies for premium toppings and dressings. A unique twist to the normal salad bar is the interesting introduction of Asian flavours into the salad. 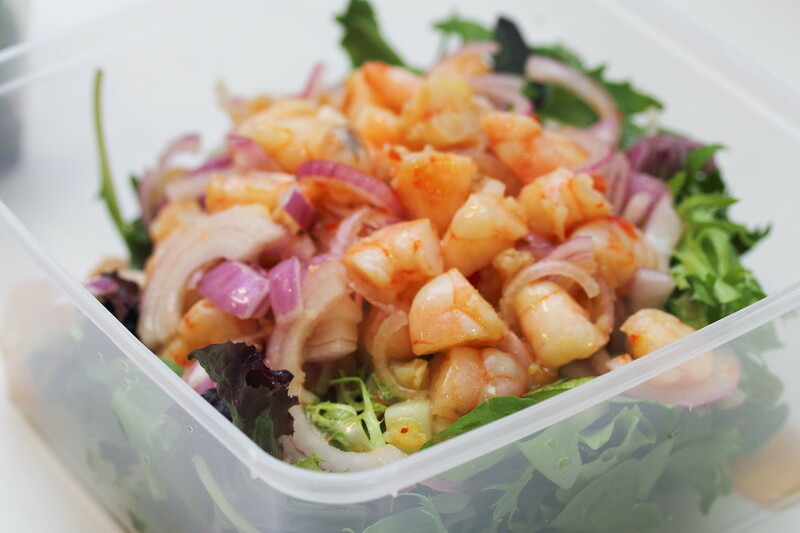 The exotic additions such as Thai Prawn and Chicken Bulgogi gives a new take in eating greens. 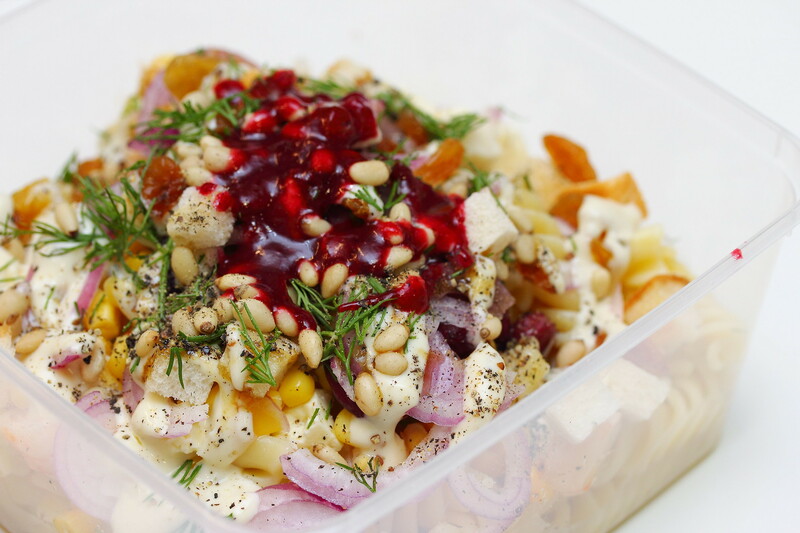 A very bold attempt is the Ultimate Rojak Salad. 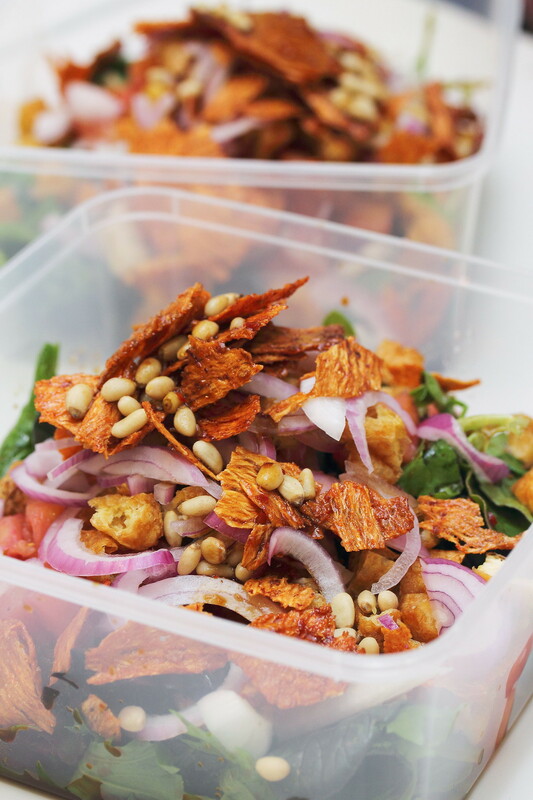 The used of rojak dressing in your greens is a local twist to the hawker favourite, rojak. Dried cuttlefish and caramelized pineapple are also added to the salad. Sounds crazy but it kind of work. 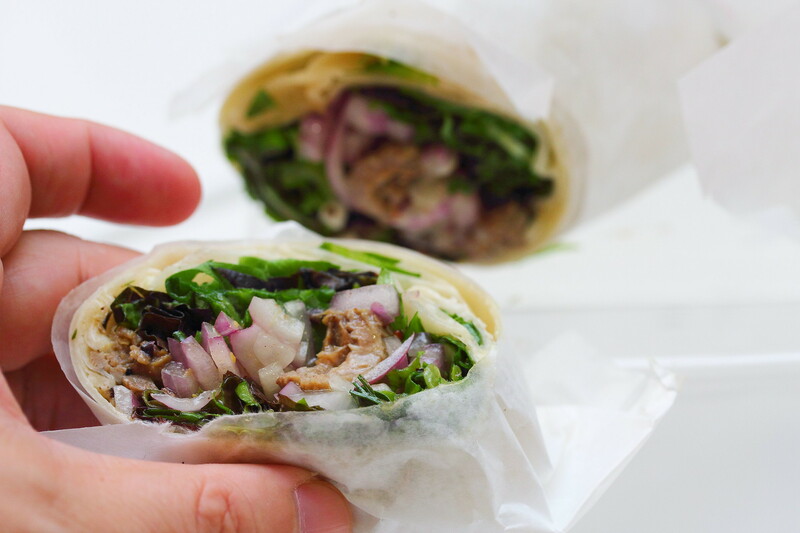 If you need something more substantial, you can add $2 to make your salad into a wrap. 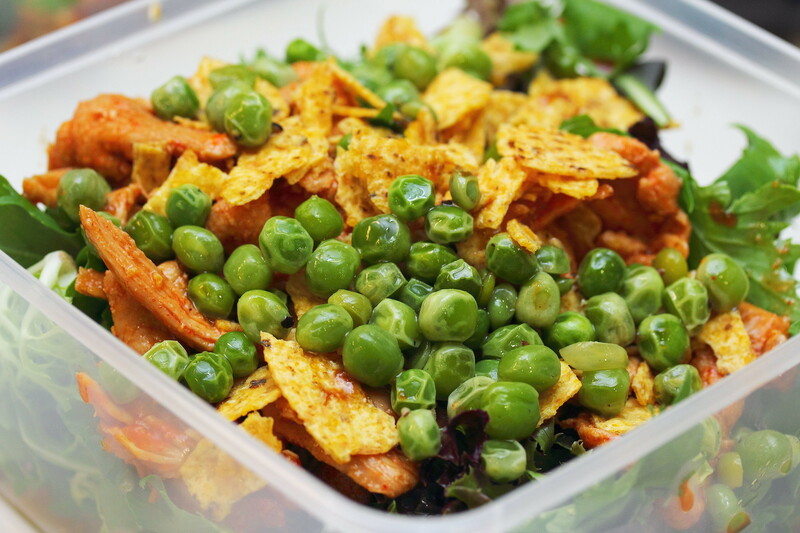 With the lunar new year just around the corner, Squash has also introduced the Salad Yu Sheng. 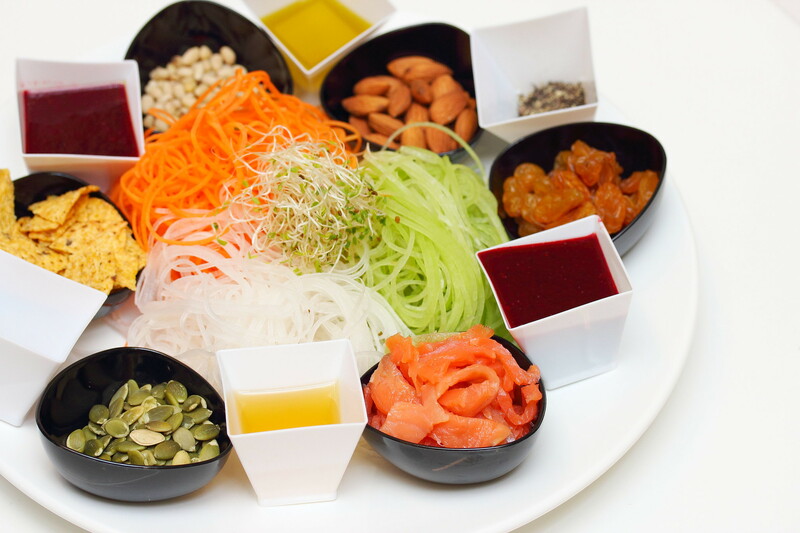 Tossed to a healthy new year ahead, with this interpretation of the yu sheng. Overall the highlight at Squash still has to be their cold pressed juices. The salad is an additional bonus for people who wants to eat healthy. Unfortunately eating healthy does not come cheap but at least at Squash the salad is quite substantial for the amount you are paying for.